Mussorgsky was the most innovative of the group of nationalist Russian composers known as "The Five." His parents -cultured, wealthy landowners — sent him to the Guards' cadet school in St Petersburg, where he met the composer Dargomijsky, and later the other future members of The Five — Balakirev, Borodin, Cui, and Rimsky-Korsakov. In 1858 he resigned his commission to take up composition and started lessons with Balakirev. In 1863, however, increasing money problems forced him to take a relatively low-ranking civil service position, in which he remained almost until the time of his death. In this situation he produced his first significant compositions, the songs of 1864. His progress was temporarily halted the following year as he battled against the alcoholism that would plague him throughout his life. He recovered to complete his best orchestral piece — Night on a bare mountain -in 1867. Despite his justified satisfaction with the work, it was only performed and published after his death in a drastically revised version by Rimsky-Korsakov. Mussorgsky encountered similar difficulties with his opera Boris Godunov, based on Pushkin's tragedy, which was rejected in 1869 by the Imperial Opera because it had no lead soprano, no lead tenor, and no central love scene. He revised the work but it was again rejected and was not performed until 1874. The premiere was a public success but a critical failure, even drawing harsh comments from other members of The Five. The opera was withdrawn after only 25 performances. Mussorgsky's music was simply too unconventional. He avoided the influence of other composers and previous musical traditions, seeking instead to distil the basic elements of music and use them to express his ideas in his own way. If there were influences, they tended to be from spheres other than music. One of these was the painter and architect Victor Hartmann, whose memorial exhibition in 1874 inspired Mussorgsky's Pictures at an exhibition — a collection of piano pieces that reflect ten of Hartmann's paintings. This work came to be very influential and was later orchestrated by several composers, most notably Ravel. 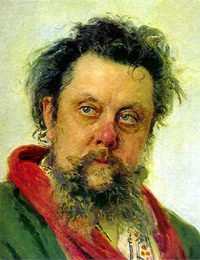 At the end of his life, Mussorgsky enjoyed some fame as a pianist and the composer of Boris Godunov, but most of his work was published posthumously, completed or drastically revised by Rimsky-Korsakov. With the restoration in the twentieth century of his original scores, his innovative qualities have now received deserved recognition. 10. 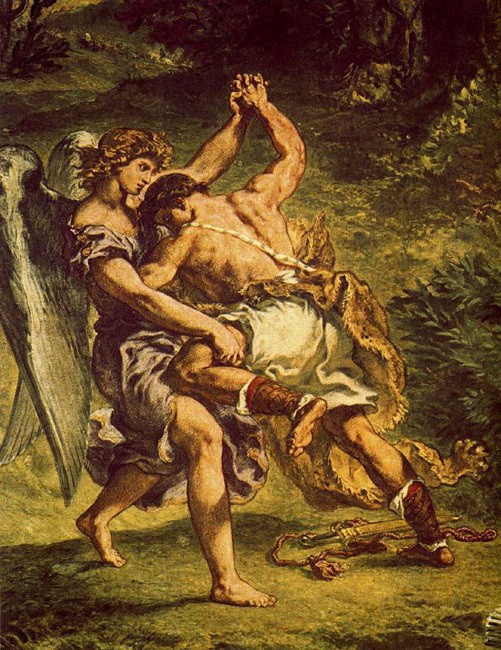 "Samuel" Goldenberg and "Schmuyle"